Like in former years there has been an internal decision made by the Turkish broadcaster TRT. The singer Can Bonomo will perform the more traditional styled song “Love me back”. The interesting thing is that the title and the lyrics are in English, the oriental music elements strongly show the Turkish roots – a very interesting mixture. Due to the fact that Turkey did not qualify for the final last year Turkey has to redefine their choice. Maybe rock songs do not succeed anymore these days. As a neighbour country of Azerbaijan, Turkey has some similar styles in regards of music. This might be highly awarded in Baku. “Love me back” is different from other Turkish entries. The strong competitors in the second semi final won’t make it easy for Turkey this year. This year Turkey will celebrate its 34th entry in the Eurovision Song Contest. Turkey debuted in 1975 with “Seninle Bir Dakika” by Semiha Yanki which came 19th. In former years the Turkish entries had to struggle with the international acceptance by the mainly Western European countries. The music has probably been a bit too exotic for the general audience. Since the televoting system has been introduced, for Turkey is has changed everything! Formerly known as country to find on the bottom part of the scoreboard has now became one of the strongest participants. Things have changed dramatically. While other classic ESC countries like the UK, France or Spain are fighting not being last, Turkey is happy of a newly gained popularity. They have always qualified for the final beside of last year. Everything has changed with Turkey’s first victory by Sertab Enerer with “Everyway that I can” in 2004. 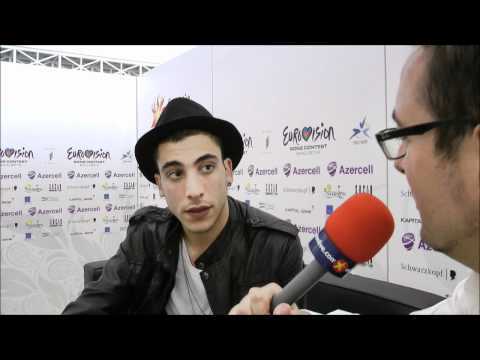 In the recent years Turkey has send quite rocky tunes to the ESC, which was highly awarded with many votes. Beside of the victory, popular Turkish entries were: “We could be the same” by MaNga in 2011 (2nd), “Dinle” by Sertem Paker in 1997 (3rd), “For Real” by Athena in 2004 (4th), “Shake it up Shekerim” by Kenan Dogulu in 2007 (4th) and “Düm tek tek” by Hadise in 2009 (4th).